April Garden Maintenance Checklist – Have You Started Yet? Home>Latest News>April Garden Maintenance Checklist – Have You Started Yet? Welcome to the first in our series of Garden Maintenance Tips, which will take a look at what you can be doing in your garden each month to prepare for the weeks, months and years ahead, and to keep your garden looking beautiful. If you want your garden to become the envy of the neighbourhood, follow our Tips or let us know if you need any help or further advice. This month we’ll be looking at what you can do with your Beds, Borders and Lawns. Weed & Plant – these are the key jobs this month. If there are gaps to fill or new borders to plan, then the availability of plants to do the job is good. Water – we can have quite dry periods at this time of the year, so be aware that any new plants will need regular drinks until they are established. A good, thorough soaking once a week is always better than a light sprinkle more regularly. Dead Head & Feed – Dead heading & feeding your Daffodils with a top dressing of blood, fish and bone (always wear gloves for this) or “Growmore” will give the flowering potential for next spring a real boost. Cut & Prune – Cut back Penstemon, Gaura and the Woody Salvias like “Hot Lips” now that the risk of harsh frosts have passed. Take off half to a third depending on how tall the plant is, and how tall you want it to be. 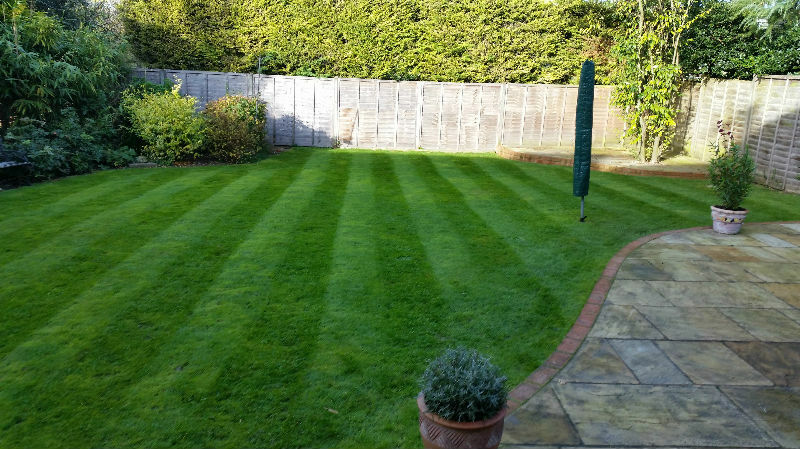 Mow – mowing starts in earnest now, so keep the blades high for the first cut to avoid scalping. You will probably find it is now a weekly job, it is worth remembering that grass is just like any plant and will produce seed so if you don’t want it setting up home in the flower beds then regular mowing is the key. Feed – lawn feeds can be applied and you can continue with any renovation of bare patches or dips this month. Sow – the sowing of new lawns can be done this month. Conditions are optimum, choose a mix of seed suitable for your situation and use requirements. There are mixes for particular situations including shade. 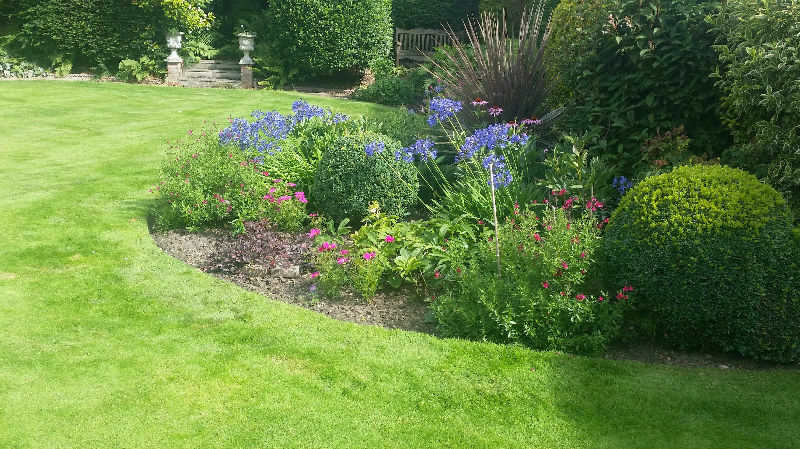 Click the images below to take a closer look at a couple of our customers gardens or to view more visit our Garden Maintenance Gallery. Putting a few extra hours into your garden at this time of year can really make all the difference. Give your Beds, Borders and Lawns the time they deserve and you’ll soon be enjoying the fruits of your labour. If you know anyone who might be interested in our tips, advice or services, please share by clicking the ‘Social’ icons below. Until next month… happy gardening from the Greenman team.